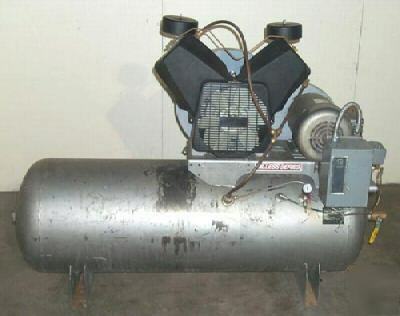 Powerex #OPT050 Oil-Less 5hp compressor. 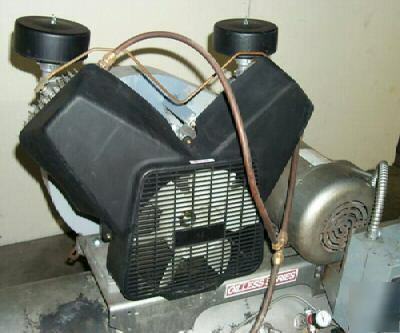 Two cylinder, 208-230/460, fan cooled, s/n:082797L, #OPS075 pump, 150 max psig. 20.9 SCFM @ 50psig @ 993 rpms. 16.7 SCFM @ 100 psig @ 870 rpm. Info can be pulled up on internet. 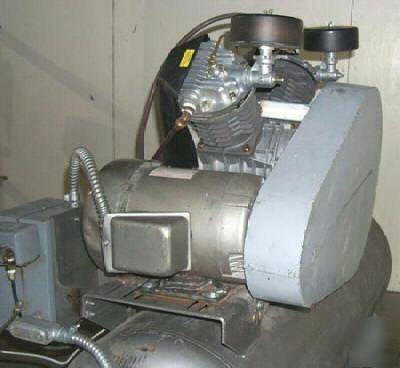 Very nice unit-electric motor base has mounting feet repaired.